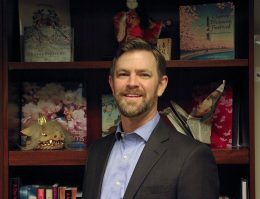 Japan-America Society of Washington DC Appoints Ryan Shaffer as New President – The Japan-America Society of Washington, Inc.
WASHINGTON, D.C. – The Japan-America Society of Washington DC (JASWDC) is delighted to announce the appointment of Ryan Shaffer as its new President, effective February 18, 2019. He will take over from JASWDC Trustee Abigail Friedman, who served as Interim President during the year-long search process. Shaffer will lead a dedicated staff of JASWDC professionals in carrying out and expanding the Society’s educational, cultural, business, and policy programs, including the popular Japan Bowl, Sakura Matsuri Street Festival, Japanese Language Classes and the Japan-In-A-Suitcase (JiS) Program. The Board of Trustees is grateful to Abigail Friedman for her service as Interim President over the past year and looks forward to welcoming Ryan Shaffer to the Society. Prior to joining the Society as President, Mr. Shaffer was Director of Programs and Development at the Maureen and Mike Mansfield Foundation. In that capacity, he oversaw and promoted a wide range of policy programming on contemporary topics of key concern to the U.S. and Japan. Earlier professional experience includes serving as a research analyst for the Washington office of the Federation of Electric Power Companies of Japan. Mr. Shaffer was raised in Portland, Maine, has an MSc in Asian politics from the University of London’s School of Oriental and African Studies and a BS in environmental policy from Bates College.